I love Jerusalem. It has been part of my life for 36 years, from the time I was a high school student there. I would visit my father, a global Jewish leader, at Jerusalem’s King David Hotel when he was in Israel for meetings – often connecting with his close friend and colleague, Prime Minister Menachem Begin. 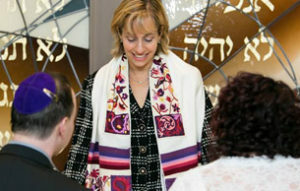 Jerusalem is Israel’s capital and home to the Knesset (Israel’s parliament). Its Supreme Court, and the residences of the prime minister and president are located in West Jerusalem. Yet still, for 70 years not one country has recognized Jerusalem as the capital. All 86 embassies reside in Tel Aviv. That changed Wednesday, when President Trump declared Jerusalem as the capital of Israel and committed to moving the American embassy there. What on the surface might seem like a non-controversial act has set off a whirlwind of violent rhetoric and actions that has already led to loss of life. President Trump’s announcement was the right announcement made at the wrong time and in the wrong way. President Trump claimed his decision was a “long overdue step to advance peace,” but the chorus of voices from Pope Francis to European leaders immediately saw it differently and predicted the violence. I write this piece on Friday afternoon with tears in my eyes learning of the 90 who have already been wounded – and of the one who has died. And the violence continues with rockets and bullets. President Trump could have been visionary. His statement of recognition could have been made in the context of moving partners toward peace. He could have stated that as he intended on moving the embassy to West Jerusalem, he envisions East Jerusalem as being the capital of a Palestinian state established as part of a negotiated two-state solution to end conflict. He could have used it as a bargaining chip with Prime Minister Netanyahu, making that recognition contingent on a return to the peace process, while himself committing to exert pressure on Palestinian President Mahmoud Abbas to engage in talks. The reality is that the U.S. Embassy in Israel will not be moving to Jerusalem anytime soon. In 1995, with bipartisan support, Congress passed the Jerusalem Embassy Act declaring that the embassy would be moved to Jerusalem from Tel Aviv, though every U.S. president since that time has signed a waiver deferring that action. Immediately after making his declaration, President Trump similarly signed another six-month deferment waiver. Last Sunday, the former U.S. ambassador to Israel under President Obama, Dan Shapiro, spoke in Charlotte and supported the move of the embassy to West Jerusalem. It is not over the Green Line – in the territories captured by Israel in 1967. It is not on land central to negotiating peace. Yet as Shapiro noted in the media on Thursday, the president’s announcement failed strategically. There weren’t preparatory meetings with Arab leaders. Now Trump can and must engage those leaders. Prime Minister Begin, a right wing leader, made peace. My father, a liberal, worked beside him to achieve the Camp David peace agreements. Peace can be made by people from the right and the left working in partnership. The United States can be a partner in moving efforts forward. President Trump needs to do just that and we need to support it. Jerusalem has long been my spiritual home. 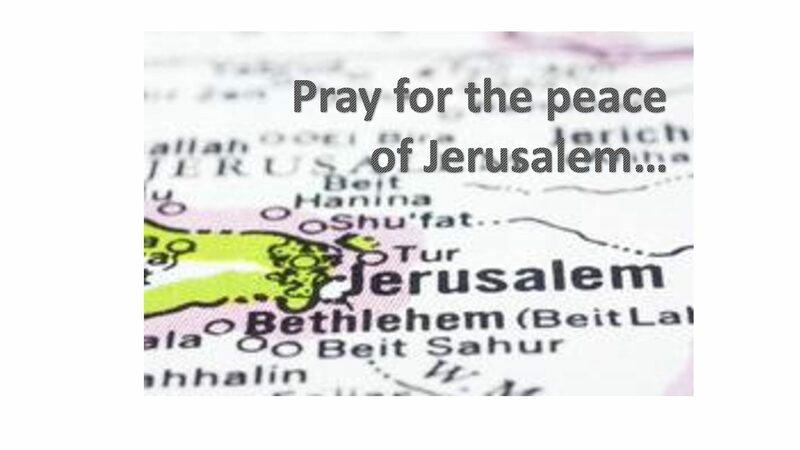 I pray for those who live there – Israelis, Palestinians, Muslims, Jews, Christians, and all. I pray for Jerusalem’s peace, its shalom, its salaam. Sadly, intentions are not enough. Peace requires actions: visionary leadership, diplomacy and compromise.